There are so many things that make haunted houses ideal for a good chilling tale. Home is where the heart is, they say; it’s also where family is, the things we love. It’s where we feel safe. Not so in the haunted house, where our refuge becomes a place of nightmare. Family, more likely than not, becomes a source of terror instead of love. Death walks the hallways and rattles at the doors, and we can become trapped by the very walls we build around ourselves. In film, I’m a sucker for a good haunted house. All that sneaking around at night completely gets to me, possibly because it’s redolent of my own childhood fears of what might be hiding in the dark. And there are those cheap jump moments that are almost expected—the thing glimpsed in the mirror as the bathroom cabinet closes; the reflection in the window; and, of course, the dreaded cellar, that emblem of the subconscious, where who knows what might be lurking. Still, I’ll jump at all of them, in part precisely because I expect them. In literature, it’s not really about the jump moment so much as a creeping sense of dread, of the things we don’t expect, the darkness lurking inside ourselves being reflected in the things around us. 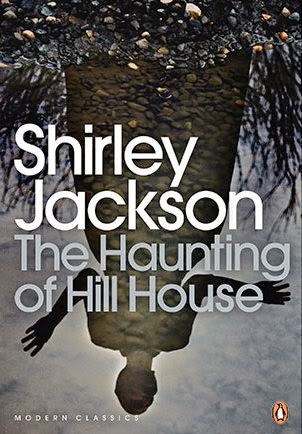 It’s about atmosphere, as evoked so beautifully in some of the classics of the genre—The Haunting of Hill House by Shirley Jackson, James Herbert’s Haunted or Susan Hill’s Woman in Black. The written word also has the facility to place us on the inside, sharing the character’s thoughts but also their flawed perceptions and understanding. One of my favourite haunted house novels of recent times has just such a flawed protagonist. The eponymous Audrey, of Audrey’s Door by Sarah Langan, is struggling to emerge from a broken relationship and an upbringing with a mentally ill mother. She moves into the Breviary, an apartment building constructed by proponents of a movement called chaotic naturalism. When we discover that her ridiculously cheap apartment was recently a crime scene, we can feel the walls closing in before anything supernatural happens. Audrey, an architect, soon finds herself obsessed with doors, adding them to plans where no doors should be. When she is compelled to build a door in the middle of her apartment—leading to what?—the fear ramps up. It’s tense, clever and genuinely scary. 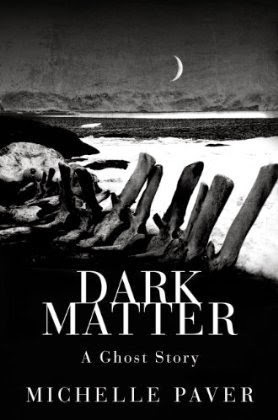 Another favourite of mine is Dark Matter by Michelle Paver [Ooh! I liked that one too—Ed]. Often, haunted houses are isolated, removed from sources of help and the normalising effect of other people. Here is an Arctic outpost rather than a house, but for the main character, Jack, it becomes his only home and refuge in the midst of a wilderness. Poor and disillusioned, he is recruited for the expedition by a group of men he sees as being a ‘cut above’, but problems beset the others until only Jack remains. The outpost becomes his home, one surrounded by snowy wastes and the endless dark. As it begins to seem he isn’t quite alone after all, we begin to wonder whether the haunting is a ghost or the effects of extreme isolation on Jack’s personality. The novel is set in the 1940s and is told in Jack’s diary entries, and it is his idiosyncratic voice that is a great part of the novel’s strength. Short stories can be ideal for evoking an atmosphere, for encapsulating a moment in time or a distilled emotion, and as such they lend themselves well to the haunted house theme. 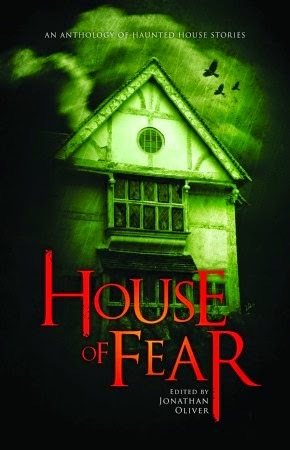 House of Fear, edited by Jonathan Oliver, is an anthology of contemporary ghostly tales by practitioners like Stephen Volk, Adam Nevill, Robert Shearman, Sarah Pinborough, Christopher Priest, Tim Lebbon and many more. It’s a showcase, not just of some very fine authors, but of the huge range of approaches that can result from the theme: some traditional, some distinctly modern, others more surreal, while others question the concept of what it is that constitutes a haunting at all. The creativity on offer shows how far the concept of a haunted house can be reinvented and given fresh life; certainly, the tried and tested idea seems to be in no danger of dying out. Alison Littlewood is the author of A Cold Season, published by Jo Fletcher Books, an imprint of Quercus. The novel was selected for the Richard and Judy Book Club, where it was described as “perfect reading for a dark winter’s night.” Her second novel, Path of Needles, is a dark blend of fairy tales and crime fiction, and her third, The Unquiet House, is a ghost story set in the Yorkshire countryside. Alison’s short stories have been picked for The Best Horror of the Year and The Mammoth Book of Best New Horror anthologies, as well as The Best British Fantasy 2013 and The Mammoth Book of Best British Crime 10. Other publication credits include the anthologies Terror Tales of the Cotswolds, Where Are We Going? and Never Again. Alison lives in Yorkshire with her partner Fergus. Visit her at www.alisonlittlewood.co.uk.